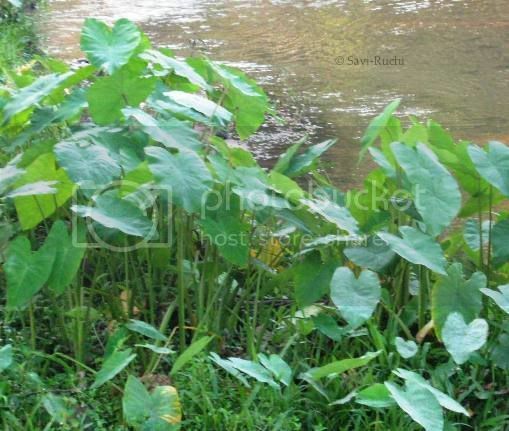 If you have observed in the first photo that this is a plant that grows near the water & it is abundantly seen during the rainy season. There are many delicacies made using this leaf as the main ingredient! Now, start guessing. Note: I am currently enjoying my vacation & will be back after couple of weeks!! Update: All of you have guessed it right. 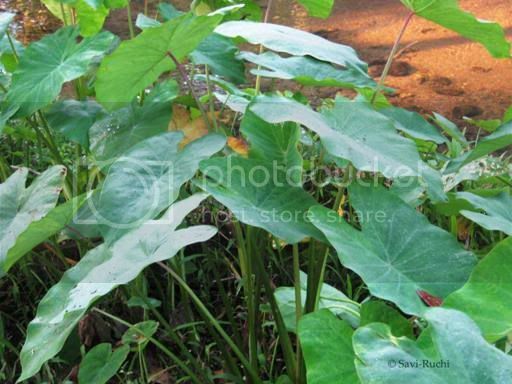 They are colocasia leaves used in making pathrode/pathra. Will give a tough one next time! Thanks for participating. Tried and Tested event round up! Thank you all for sending in your entries for the event. It was a treat to navigate through Prathibha's recipes. Also, sorry for absconding without notice. I was/am on a vacation & enjoying with my loved ones. Here are the recipes that were tested. 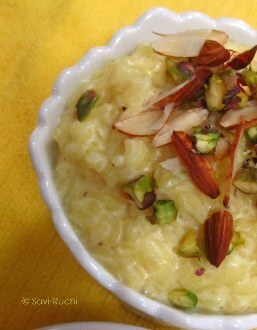 Priya of Priya's Easy N Tasty Recipes has sent in 2 entries. 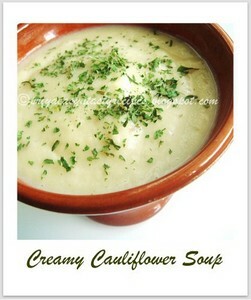 1. creamy cauliflower soup, a perfect kick start to the meal from here. PJ of Seduce Your Tastebuds tried the appetizer tadka bread with yogurt dip from here. 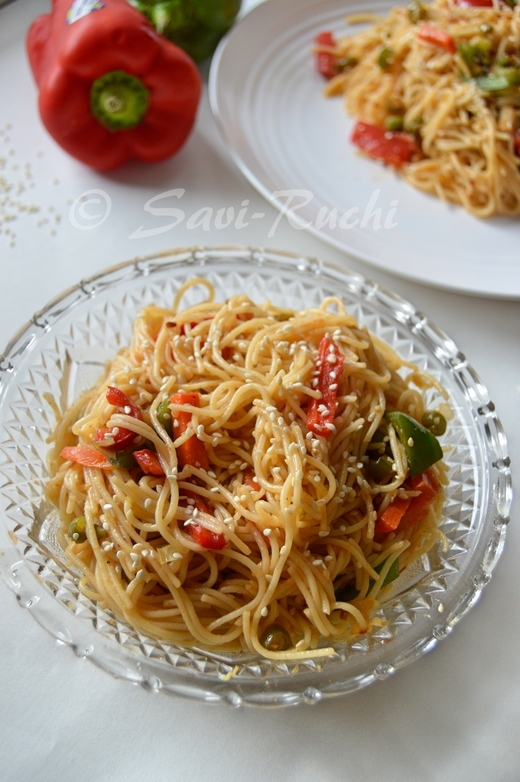 Krithi of Krithi's Kitchen tried the pasta in white sauce with roasted vegetables from here. 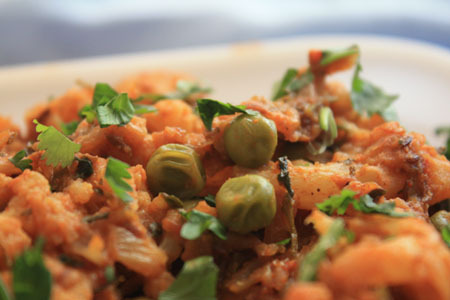 Swetha of Our Cherished World tried the main course cauliflower green peas curry from here. 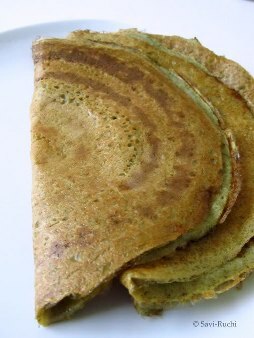 Shubhashree of Kuchmeredilnekaha, a new member to the foodie blog world has sent in three entries. 1. Golden corn pulao from here. 3. Egg less instant brownie from here. 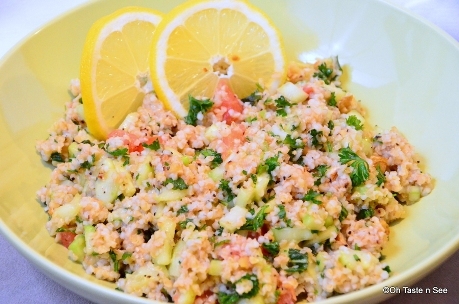 Denny of Oh Taste n see, tried the very different salad Tabbouleh from here. 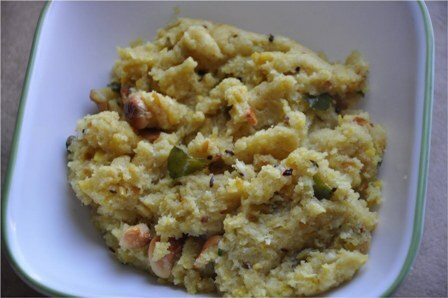 CurryLeaf of tastycurryleaf, has tried the Mango Shrikarani from here. 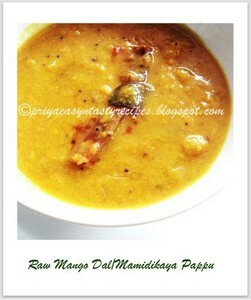 Priya (Yallapantula) Mitharwal of Mharo Rajasthan's Recipes, has tried the rava pongal from here. 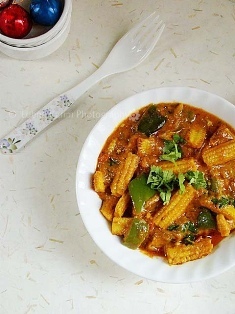 Lubna of Kitchenflavors has tried capsicum-baby corn ki sabzi from here. At last my entries to the event. 2. Paal payasam from here. It was a pleasure doing the round up. I hope to have covered all the entries sent. Kindly let me know if I have missed any.